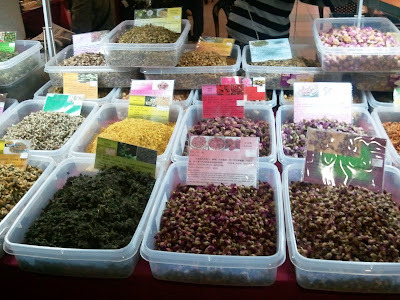 What do you guys do on the weekend?I am pretty much a homebody and I like staying at home because after 5 days of work,one would like to 'bermalas2' on the bed BUT,there are times when I will go out to meet up with my friends or for special occasions or to shop or back when I wasn't single,weekend meant that I have to follow my boyfriend to his football matches(eventhough I don't get football..ahaha..things you do for love...). So today I went out with the family,minus my dad who's working & minus my 2nd lil brother Haziq who likes to sleep. 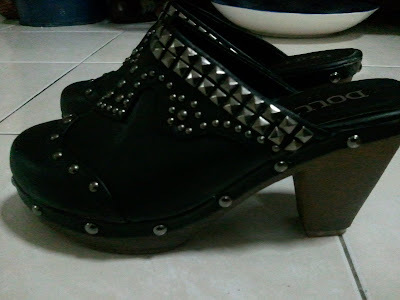 Found really great things & finally I found the clogs that I wanted!!!! 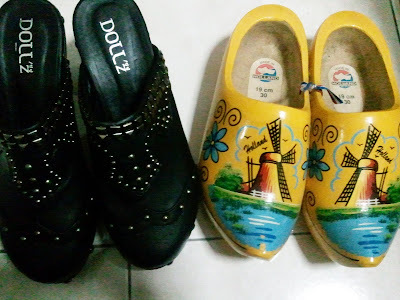 !So happy!Took a picture of em' with my mum's decorative Holland clogs--when I saw this,it reminded me of someone..ahahaha..This clogs were with us back when we live in Seremban & I can't believe I forgot about it cos' he would have laugh at it. 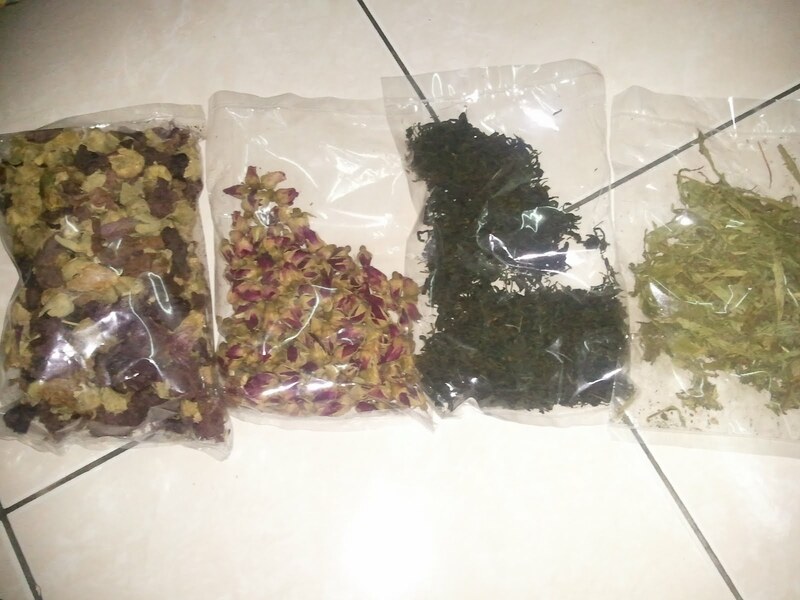 And stock up on my dried herbal teas from this lovely girl who even gave me a pack of dried stevia for free!I bought purple rose,blue mallow & castle peak green tea.All of these herbs has different benefits for your health..you can check her website HERE!I bought a lot because I rarely go to the flea market & the last time I went there was 3 months ago! 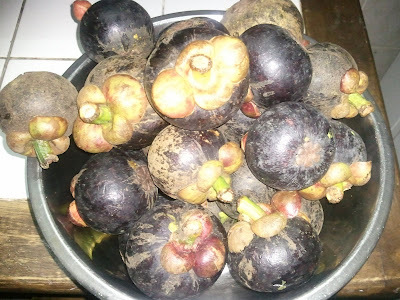 Bought lots of mangosteens today! 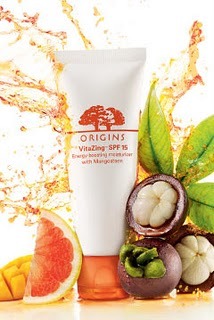 !I love love them & they're soo good for you--that Origins came out a skincare line using them & even Fresh has a Mangosteen perfume!